Know your personalized and detailed horoscope with predictions & remediesbased on Vedic Astrology. 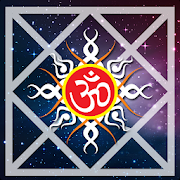 Get guided by accurate astrological predictions in your mobile. Your personalized Kundli predictions & guidelines in Hindi. Kundli in Hindi lets you foresee the future, know ups & downs and strategically plan your life. No:1 Tamil Jothidam app for Quick & Detailed analysis of horoscope in Tamil. It provides complete & accurate horoscope analysis based on Tamil Jothidam. Telugu Jathakam app based on Vedic Astrology. Install the App to check horoscope & predictions, Telugu panchangam and Horoscope matching in Telugu. Install the Horoscope in Kannada: Kannada Jathaka app to read the personalised horoscope, to find out more about yourself and plan your future.. 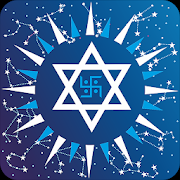 Install Horoscope in Malayalam: Malayalam Jathakam on your mobile to generate personalized Malayalam jathagam, daily panchangam, jathaka porutham etc.